Our Fun List of Activities! at the SLO Museum of Art for ages 5-12 yrs. For all ages over 5yrs! for its monthly Jewish arts & crafts program. Each month celebrates a new Jewish theme. Cost is $5 for CBD and JCCSLO members; $7 for non-members. Contact us at JCCSLO to find out more details or sign up for the programs! 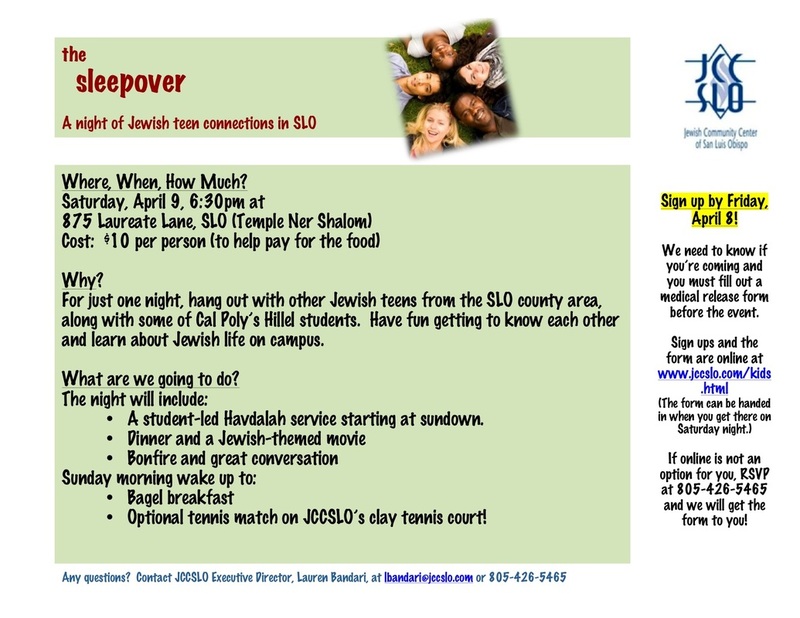 Email Lauren Bandari at lbandari@jccslo.com or call 805-426-5465. Please download and print the form below. It just needs to be brought with you on the night of the sleepover!